It’s been a little while, but I’ve been busy on a few new projects following a trip up north which incorporated picking up some auction finds. Two mirrors and a corner unit will be keeping me occupied for a while. 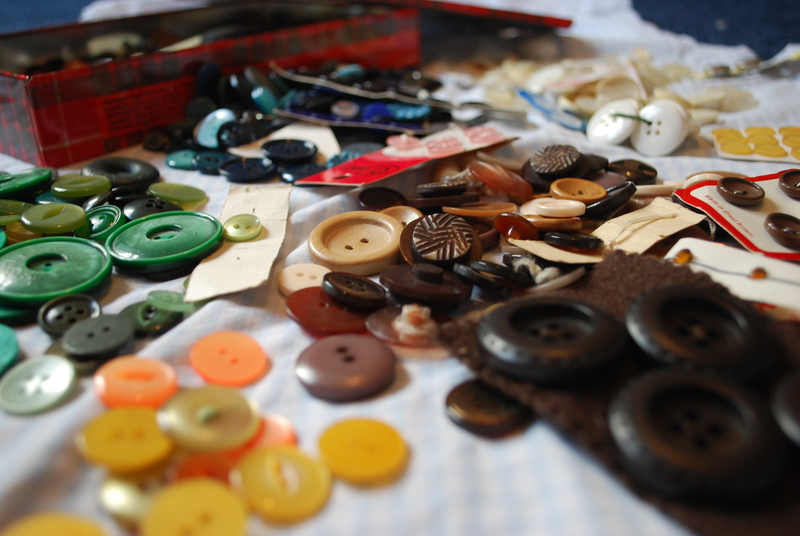 In the meantime I’ve been sorting buttons to use on handmade cushions. Exciting stuff I hear you cry, but I’m sure I’m not the only one who loved spending time as a child rooting through their mums old tin of buttons. I inherited a tin of vintage buttons a number of years ago from a relative but I just can’t bring myself to use them all up. They’re saved for special projects in my own home, but this has left me with a gap to fill for Walnut Tree Home. Up step the wonderful world of eBay, where it’s easy to lose hours of time searching and bidding on these sorts of things. They arrived last week and I have spent probably far too much time sorting through them to match up to some of the lovely fabrics in my studio for cushions. Watch this space! This entry was posted in Soft furnishings and tagged buttons, soft furnishings. Bookmark the permalink. ← How hard can it be to find a lampshade?